This (unintentional!) 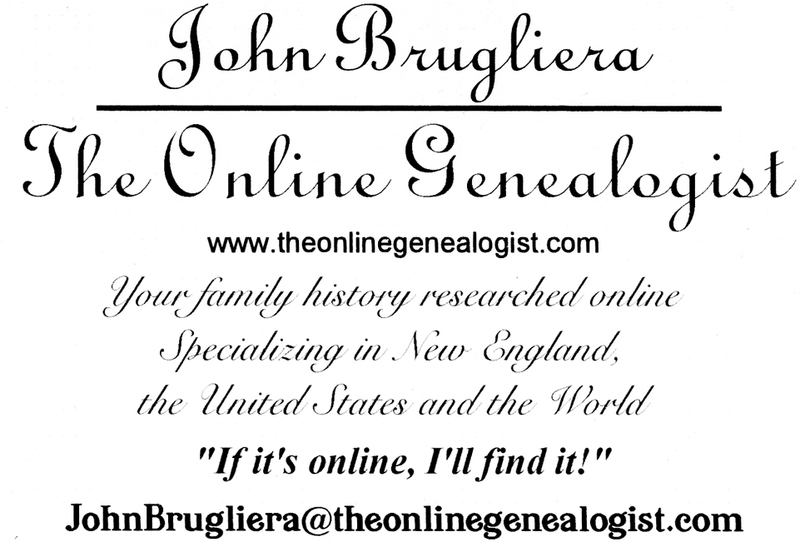 genealogy goof-up was early on in researching my own family; more specifically, my BRUGLIERA surname. The (totally unforeseen!) error shall be filed under: I Shook The Family Tree A Bit Too Hard or Way To Go, Gram! In “starting with myself”, I knew my first stop was to see Grandma Brugliera. Unfortunately, my Great-Grandmother B died just a few years earlier; she would’ve had loads of family info and stories. Upon asking, my Grandma pulled out some pencil-written notes on scrap paper. “Your Grandfather had started it a while before he died.” Wow! All sorts of Brugliera relatives and notes about them – nice! Prior to that visit, I was on the fence about whether I was going to pursue this genealogy thing any further. With all sorts of other things happening at that time, it was surely the push that was needed. And the rest is (family) history! Grandpa must’ve “knew” one of his grandchildren would be interested in knowing their ancestors more; it was merely a coincidence that I, the eldest, took on that challenge, continuing right where he left off. Anytime I would visit Gram, I’d gather a few more pieces of information, memories and excellent research clues. “Errr – I guess.” Not really knowing how to answer that one. Using a very crude early knockoff of Microsoft Word, I had compiled a 10-page “collection” of worldwide Bruglieras – past and present. I was very proud of my first family history, as more B’s in there were connected to others than not. I made stapled copies and handed them out to several relatives. In keeping this family compilation manageable, I only included those that actually have/had the Brugliera name. Most of those decisions were easy, but then I came to the mystery baby boy of “Ann”. Should he be included? Sure, why not? He IS a Brugliera, so I’ll call him “unknown son Brugliera” with the adoption notation and leave it at that. A few months later, I get a letter in the mail. It’s my cousin “Ann”, and she is some PISSED. “Why did you do this to me? Now my PARENTS know about this baby!” Uh, what – they DIDN’T?!? Boy, did I feel like a total dope. I didn’t even THINK of that possibility – damn! Oh, nice monkey suit there, buddy. The moral here is to tread lightly when speaking with living family members about OTHER living family members. Even though it may come off as “Oh, everybody knows THIS!”, it may not be so. Especially the living family members that are CLOSEST to the other living family members. Got all that?? If not, you can hire me, The Online Genealogist! And… I… will… repeat… it… all… much… much… more… slowly. Hey, I get paid by the hour – heh. Who says parents don’t play favorites?? “Seventhly, I give and bequeath to my daughter Lydia Allison one dollar. OK, so this was over 150 years ago, but still! His sons got all the land and another received $100. Is there any significance to this, besides our being able to use the wonderful info for family-connecting? Would it have been considered an insult to receive such a pathetic inheritance amount? Even accounting for inflation, it’s only around 25 bucks! Was their father “snubbing them”, or was it the norm back then; the sons receiving all the loot while the daughters get pennies? Speaking of pennies, that’s how much it will cost you for research compared to many other genealogists out there; give me a shout!! 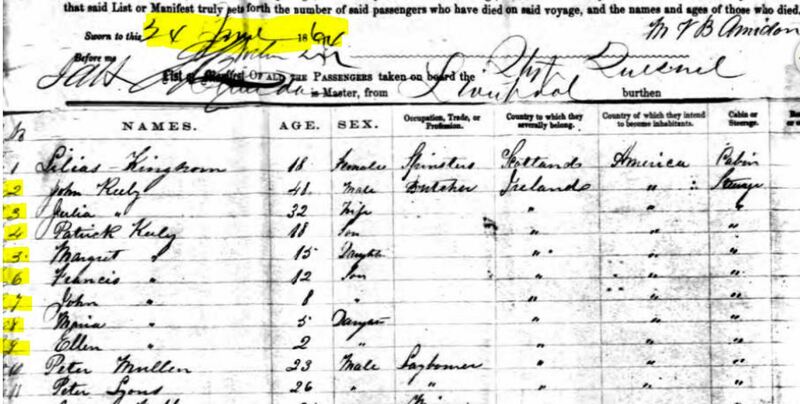 Now, why can’t all Irish genealogical research be this “easy”?? We see John with wife Julia, two sons and three daughters. In determining when they came to America, the later records (census, naturalization) give their immigration date anywhere from 1862 to 1867. If the above record is accurate, then their arrival would be more towards the lower end of that range, as Ellen’s birth year in Ireland would be calculated as “circa 1863”. Of course, that’s not to say that the entire family will be together during their emigration. There are times when only the father would come over, establish a home, find work, before sending word for the wife and kids to join him here. Believe me, finding a 40-ish John Keely sailing solo is MUCH more difficult. Other times, the couple would marry and THEN emigrate. Obviously, a pair is less difficult to locate AND confirm than a single individual in these lists. And then by adding a child, or two, or FIVE, you have a GROUP to look for as opposed to just ONE PERSON. But that wasn’t the “easy” part I was alluding to at the beginning of this post. Note how ALL birthplaces given in the above docs are “Ireland”. Yeah, REAL helpful, Uncle Sam; I already knew that. Not all that much there, but his age and middle initial are a match. And from prior FAMILY research (!!) in the NYC directories, I know that 110 E. 111th St. was John Keely JR.’s address at the time. Now for nearly all of the obituaries for MY Irish ancestors, I was lucky if I got THIS much info on them! But I didn’t stop there. I had search results left to go through. 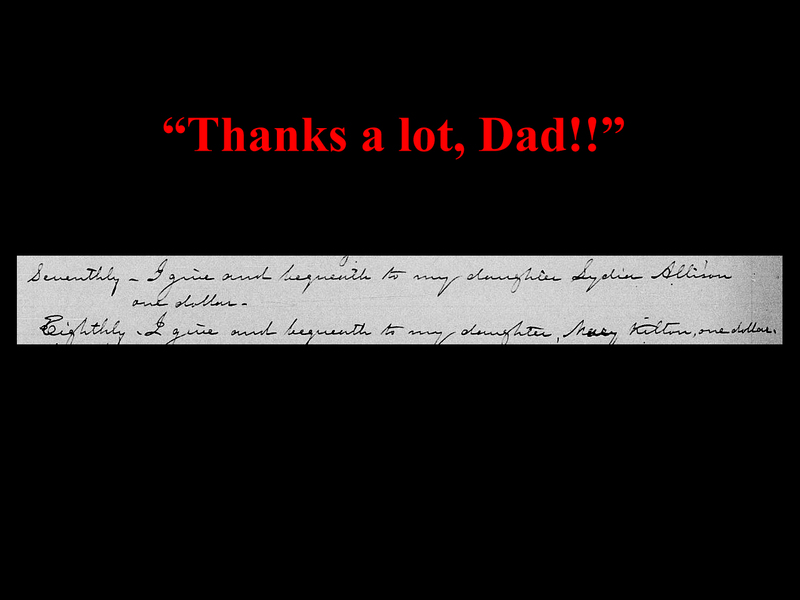 Not to mention I wasn’t fully satisfied with John Keely’s “chart” obit there! Could you ask for MORE?!? (Well, yeah; but I digress…) Gotta love the numeric-street-spelled-out “filler” there, huh? Now I’m jealous. 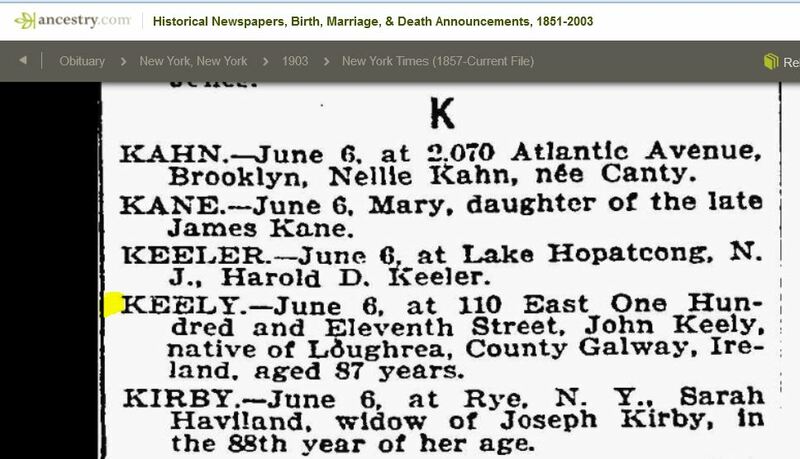 Out of ALL the Irish research I’ve done, this is the ONLY obit that names a county AND town where the deceased is from! And the very first line I researched for her – BOOM – location IN Ireland!! So yes, finding an item like this is definitely more the exception than the rule when it came to our Irish immigrants! I’ve done no further Keely research IN Ireland and whether John IS actually from Loughrea is irrelevant here. Merely the fact that it IS noted gives me at least a STARTING point in Ireland. Because isn’t “Loughrea, County Galway” SO much better than “Ireland”?? 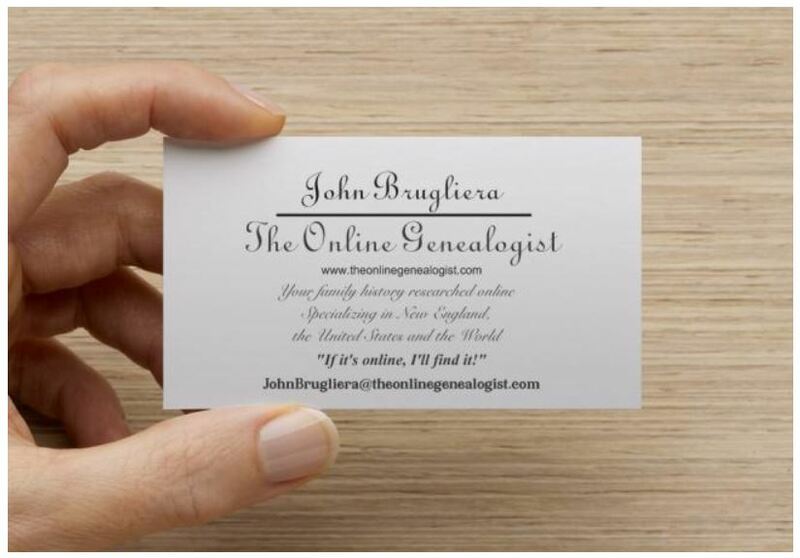 If YOU have any Irish ancestors (or any other nationalities for that matter), shoot me a line at johnbrugliera@theonlinegenealogist.com and I’d be more than happy to assist you in your research!